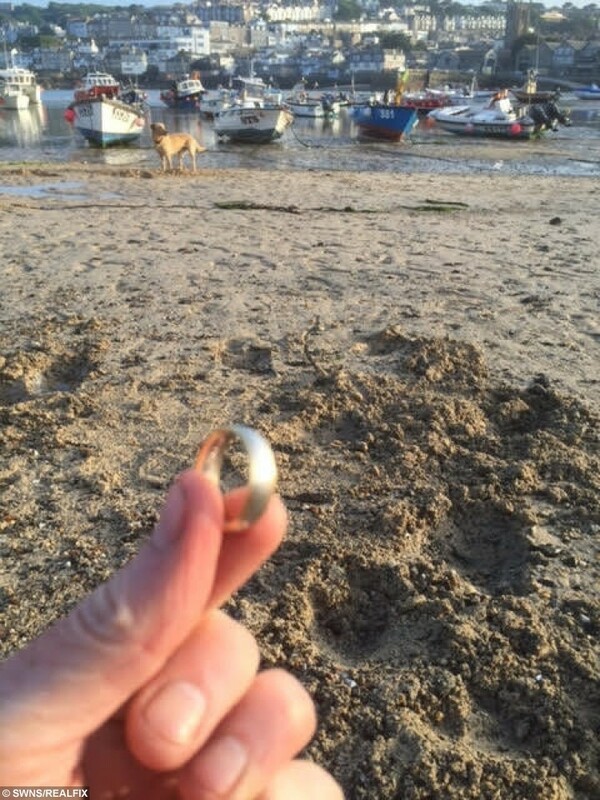 A dad who lost his £2,500 wedding ring in the sea on his anniversary found it a day later – using his son’s £29.95 toy metal detector. David Harries, 50, was devastated when the gold band slipped off his finger while he was on holiday with his family celebrating his 12th wedding anniversary. His wife Anthea, 41, was far from impressed he’d gone into the sea with it on and spent the next 24 hours reminding him what he’d done. 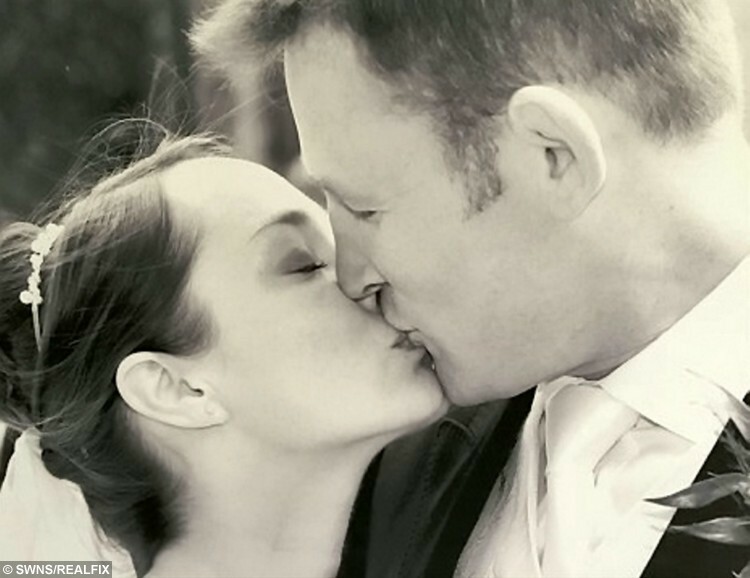 David Harries, 50, and wife Anthea, 41, on their wedding day. David spent the next 24 hours trawling the beach to find it and had lost all hope of finding it when he took out his eight-year-old son Rhys’ cheap metal detector. 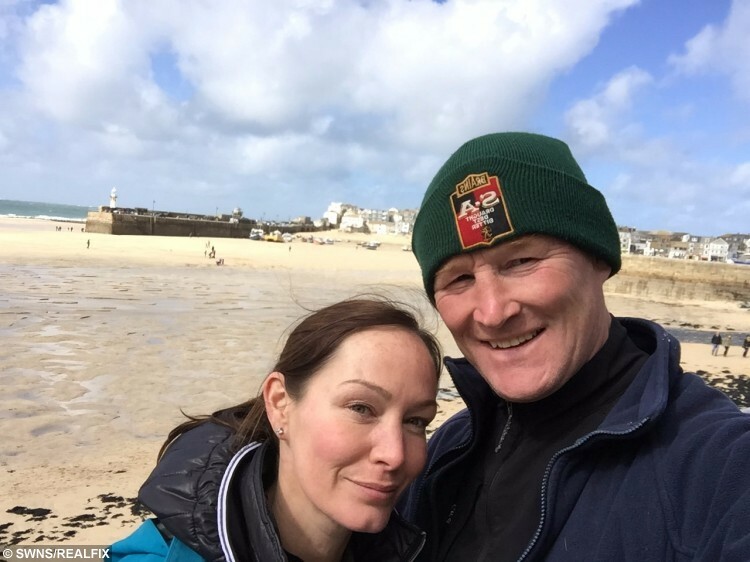 The keen open water swimmer said: “I had marked out a metre wide channel in the sand where I was searching because I assumed it would be in there. “I found the ring outside of this and it was only by chance that I had gone over it. “When I went over it and heard this sharp screeching noise. “I dug down into the sand and there was the silvery shine of the ring. “It was partially covered. It was one of those moments when you look at it with disbelief. The wedding ring finally retrieved. “I washed it off and the only thing I could do was shout ‘look what I have found’ to my wife. David had gone into the sea on June 2 as part of his rehabilitation from major surgery he had on his right knee in April. This injury was caused by playing rugby over many years and David had been advised by doctors to swim to aid recovery. The sea’s cold water caused his fingers to shrink, causing the ring to slip off in the shallow water as he removed his wetsuit. St Ives, Cornwall, where David Harries lost his ring on a family holiday. 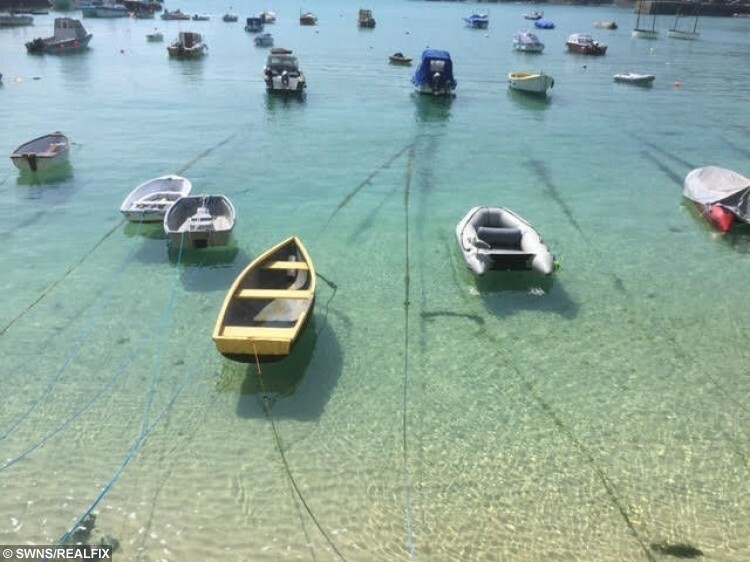 The family holiday St Ives, Cornwall, at least three times a year and David roped in the help of other holidaymakers to help him find the ring. He trawled the coastline in search of the missing ring for a day but began to give up hope of ever finding it again. But after realising his son Rhys has brought the metal detector they got him as a Christmas present on holiday he decided to give it one last go. 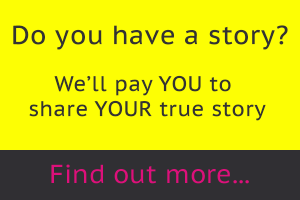 David, a primary school deputy head teacher, said: “I thought it might have been taken. “You get people coming down with metal detectors at the end of the day trying to find money and jewellery left by people on the beach. “I walked about six inches past the channel and I heard a really high pitched screeching from the metal detector. “There had been other bits of metal I’d picked up on the way, bottle tops, coins, etc. so I wasn’t expecting it to be anything. The £2,500 ring was found using a £29.95 metal detector owned by Harries’ son. David, from St Albans, Herts., added: “I have already lost my wedding ring once before so I always take off my watch and wedding ring before I go swimming, and it wasn’t until I was already in the water that I realised I forgot to take my ring off. The couple’s other son is called Owain, eight.